Google has introduced a number of changes to its education offerings, including updates to Classroom, Google Docs, its virtual reality offerings and teacher training. In Classroom, Google's free web service for allowing teachers and students to communicate online and share assignments, developers have added a "Classwork page," to serve as the hub of class conversation, and refined the Settings and People pages. Teachers can modify grade point values when creating or editing assignments or questions. Grading features from the newly launched Course Kit, such as a customizable comment bank and the ability to toggle between files and student submissions while grading, have been pulled over into Classroom as well. The company has also paid a little attention to Google Docs, which has given teachers and students difficulties as they try to format a document. 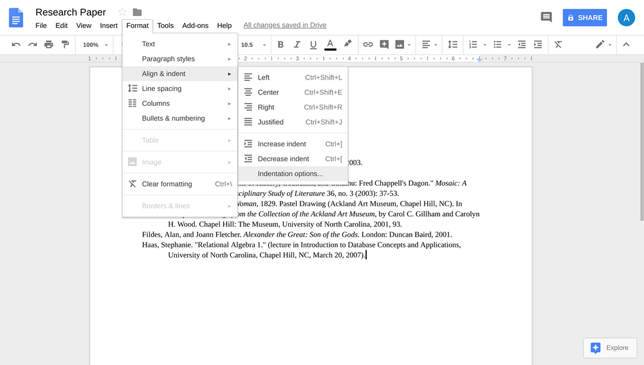 The updates focus on better margin and indentation functionality, which comes in handy when creating MLA-style citations. Currently, writers can choose hanging indents and set specific indentations using a dialog box. However, in the fall, Google said it would allow for customizable header and footer margins and a vertical ruler. Tour Creator, a free tool from Google for building virtual 360-degree tours on the computer using photos, image overlays and points of interest, now also allows for the addition of photos taken on the student's device using Cardboard Camera. The latter is an app for Android and iOS that works with Google's cheapie VR headset, Google Cardboard, enabling the user to turn his or her phone into a virtual reality camera to capture what Google calls "VR photos," dual images with slight shifts between each to give them a 3D quality. Finally, Google said it had boosted the number of educator-made training videos in its Teacher Center, intended to help the community get started with G Suite for Education. For more information, read the Google Education blog.